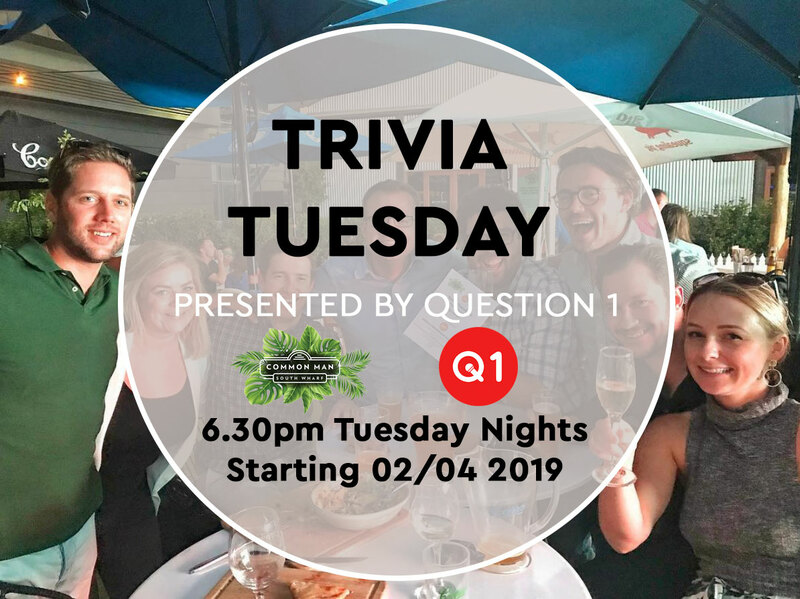 Following the huge success of our outdoor trivia series, Common Man South Wharf is launching straight into the winter series "Trivia Tuesday". Starting 6.30 pm Tuesday 2nd of April, trivia and quiz experts can enjoy a very entertaining night with plenty of surprises in a fun filled venue with great weekly hosts! ​Your team registration was successful.